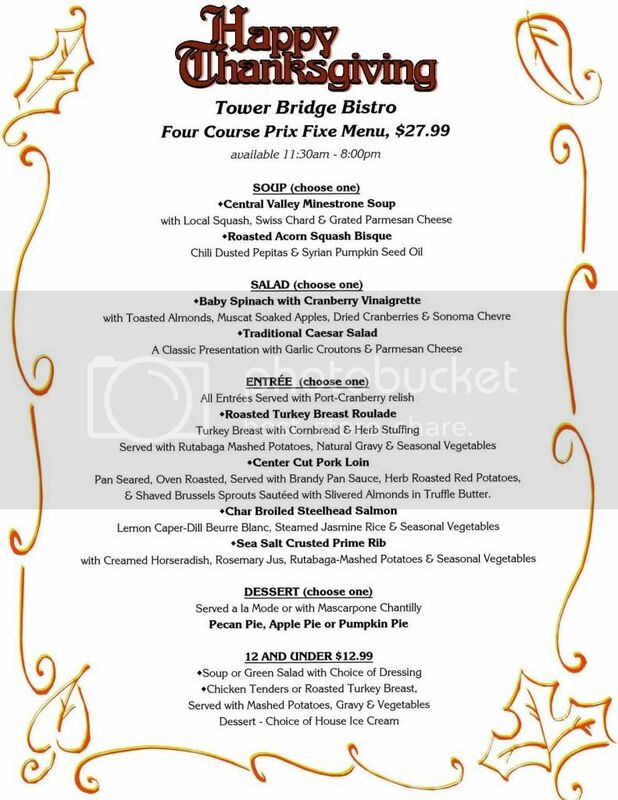 Tower Bridge Bistro has finalized their Thanksgiving Day Dinner menu. Available from 11:30am - 8:00pm. Four course prix fixe. You can also find them on Facebook at Tower Bridge Bistro.